Asakusa is one of shitamachi, unique traditional working-class districts of Tokyo. 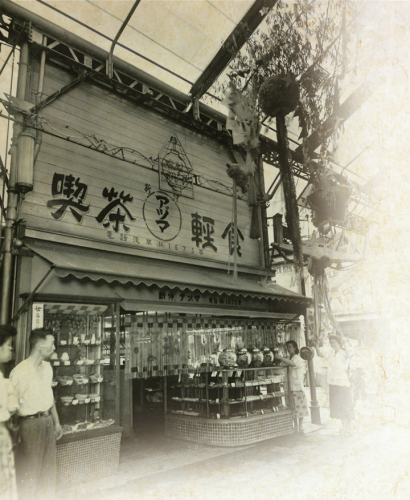 Azuma has been taken over ‘iki’, the spirit of the town since 1920s. Enjoy the spirit of Asakusa with fastidiously prepared dishes, ranging from old-fashioned western style dishes to sushi with fresh fish from Tsukiji market to original menus with the art of culinary creation. Simple shopping arcade has been completed. Azuma started its business as snack bar and tea house. The building is renovated and the 2nd floor is added. 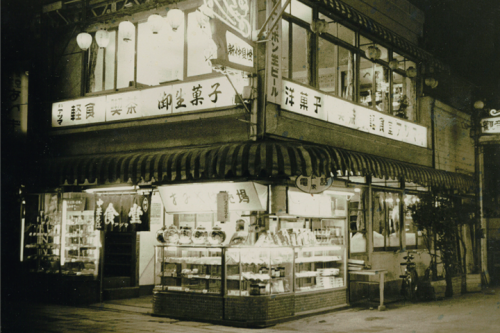 At the time Azuma is snack bar, tea house and sweet shop, selling Japanese and Western sweets. 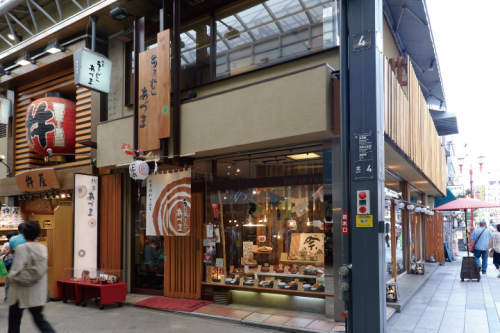 Azuma is now a restaurant, serving Western and Japanese food to both local citizens and tourists. The present building photographed from the same angle as the picture taken around 1953. Copyright © 2019 Asakusa Umaimon Azuma All Rights Reserved.